Sibonelo Chiliza has the focus of a Buddhist monk. The sense of calm and dignity that surrounds him when he works and smoothly slips into the "zone" of creating induces 'unmonk' like envy in others. Born in 1979 in Mtwalume (near Port Shepstone) he recalls being an impressive wire-car maker, making unusual designs such as convertibles for his friends. Such was his skill that other kids stole some of his models. He also worked with river clay, building houses and sculpting faces. Cattle heads would be fired and then have thorns stuck in as horns and he and his friends would stage mock bullfights. 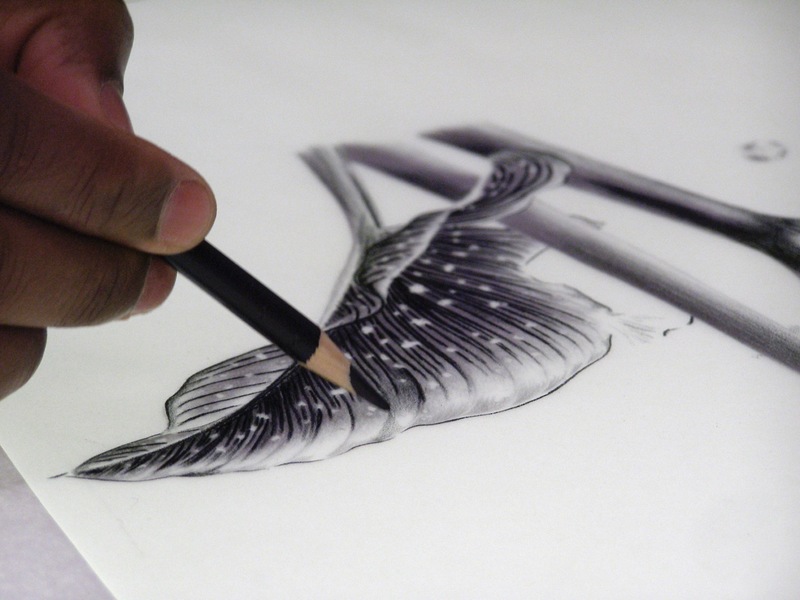 In primary school, he excelled at drawing fish and other specimens in Biology. At the end of primary school, he drew his whole school for fun. Sibonelo Chiliza completed matric in 1998 and in 2000 enrolled at the Durban University of Technology to study Textile Design and Technology; he was unable to study Fine Art, as the high school he attended did not offer art as a subject. He completed his three-year diploma in 2002. 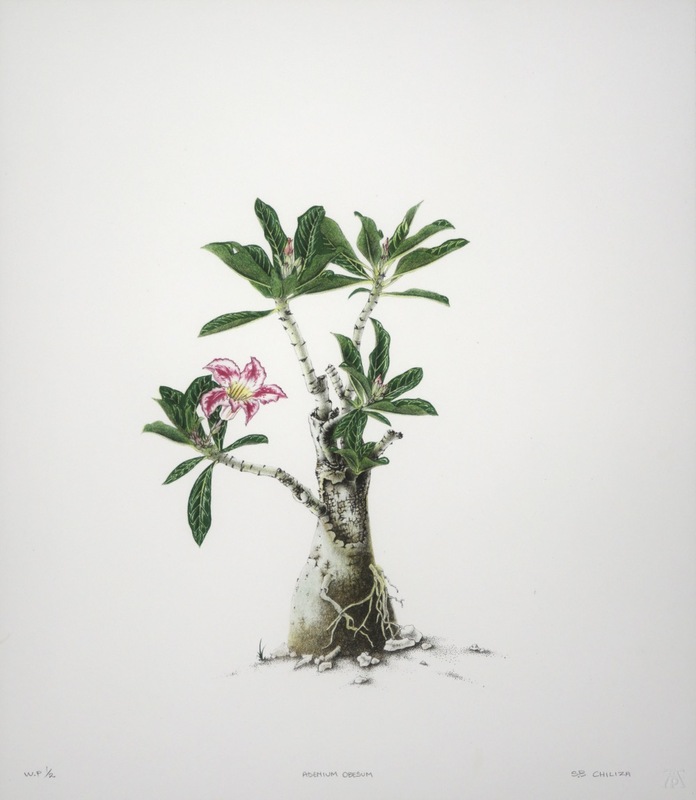 It was during his second year of study that he was noticed by an ex-lecturer, artist and mentor Jean Powell, when his class was looking for textile design inspiration in the Durban Botanical Garden. 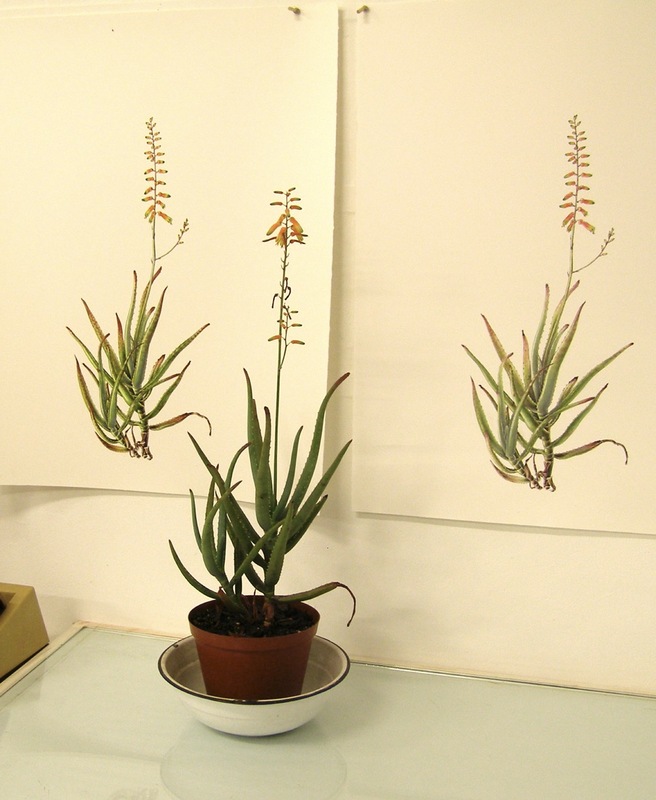 It was the first time that Chiliza drew plants in colour and Powell saw the potential in his work. 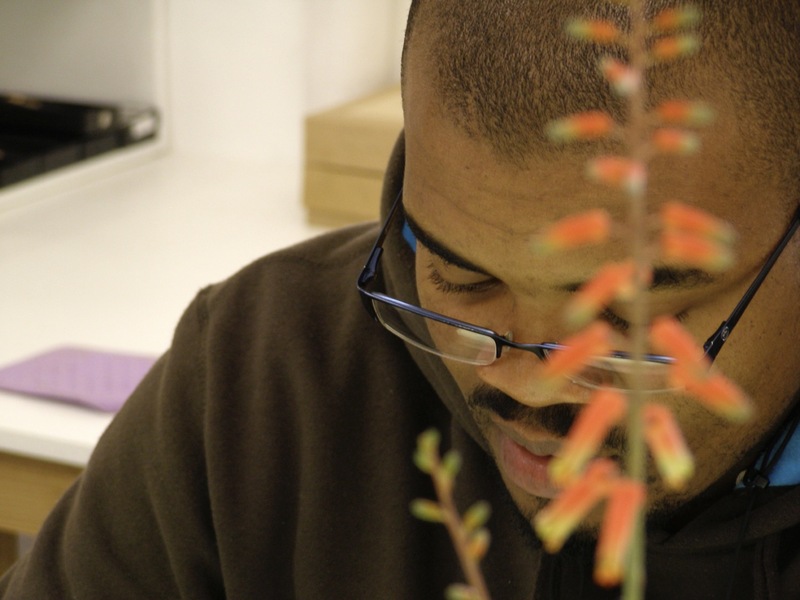 In 2004 he did a three-month internship at the botanical garden in Durban, which led to him meeting the well-known botanical artist Gillian Condy In 2005 Sibonelo Chiliza did a six-month internship at the National Herbarium under Condy. 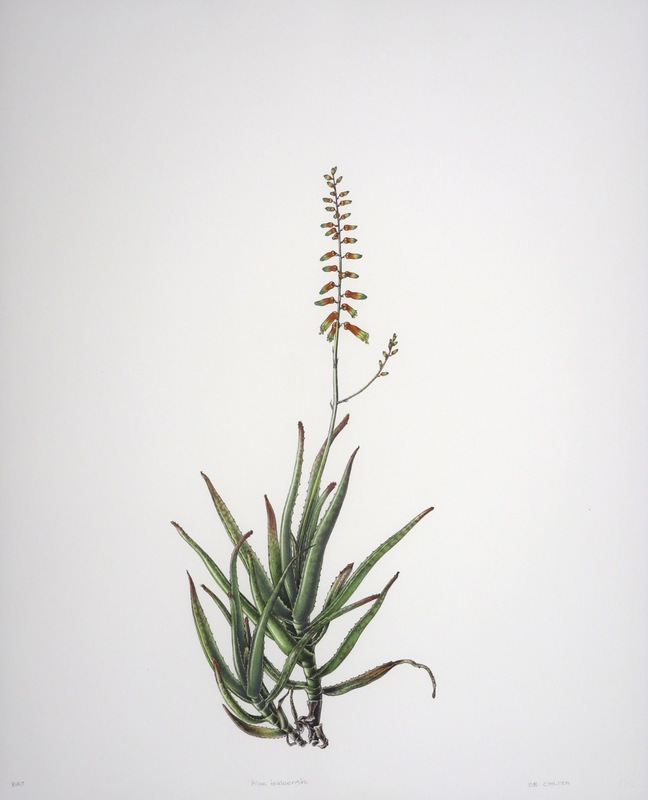 This was converted into a one-year contract with the African Plants Initiative where he managed the scanning and databasing of the SANBI Pretoria art collection. 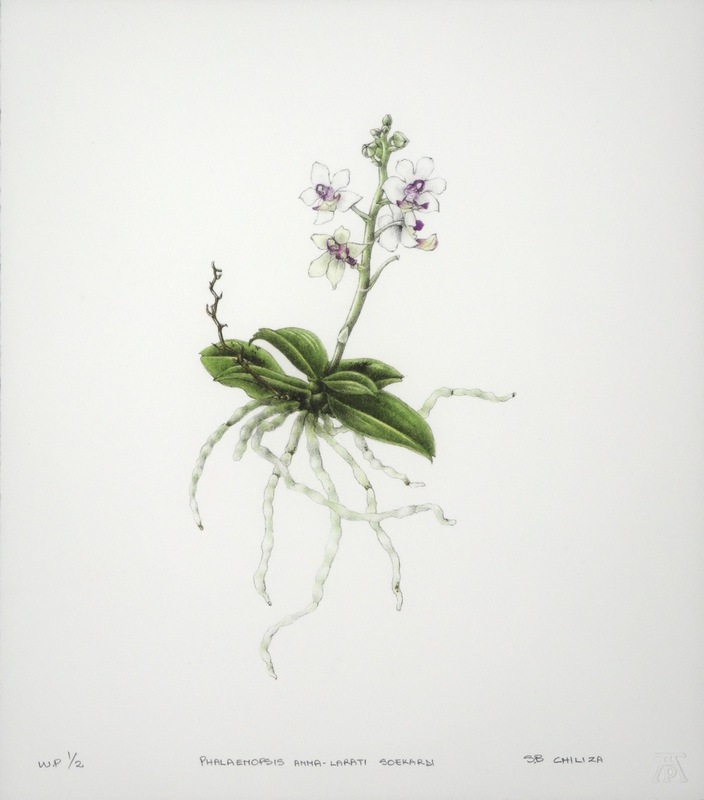 "I do botanical art because I can draw. I have been lucky; one door has opened another for me. At an exhibition at DUT, I saw that I could sell work and make money from my art". 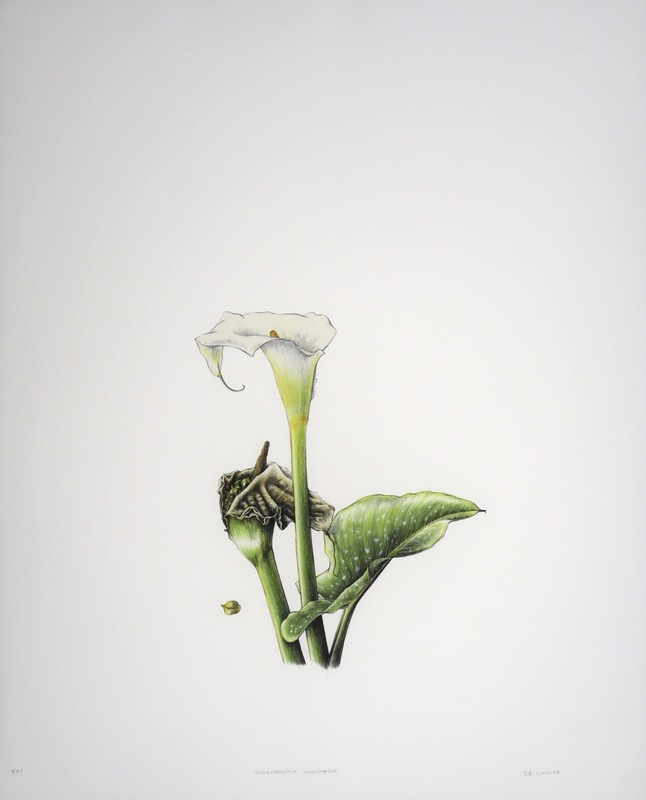 He adds that he is one of only a few men who do botanical art in South Africa (on the 2010 Botanical Biennale held at Kirstenbosch he was one of four men out of a total of fifty-one artists exhibiting) "possibly this is because men do not have the patience required!" When asked what it is about plants that he enjoys Sibonelo Chiliza explains, "it has to do with the freshness and colour. When you are sitting out there and you are working you don't feel like you are working, in a botanical garden you hardly get people disturbing you". 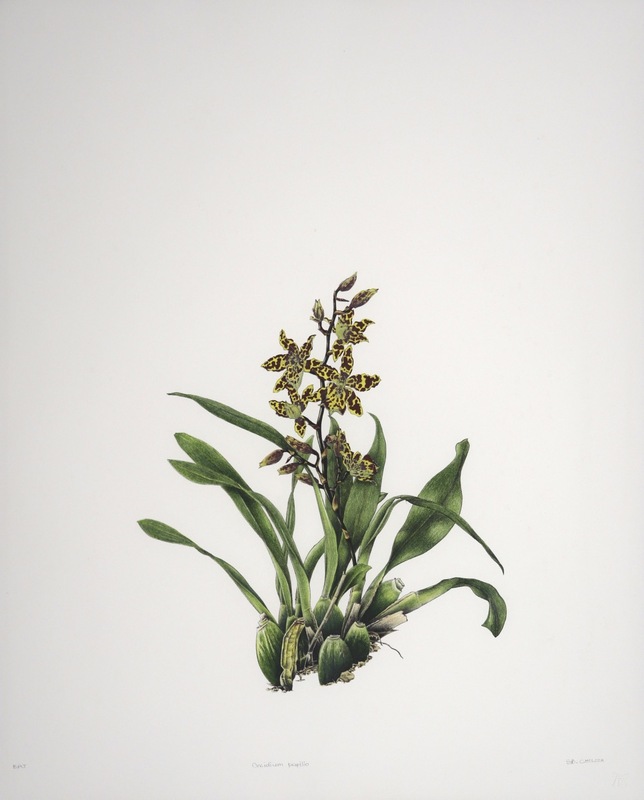 In his drawings he uses Lyra pencils, the botanical artist's pencil of choice, they are oil based and have an incredible range of colours. 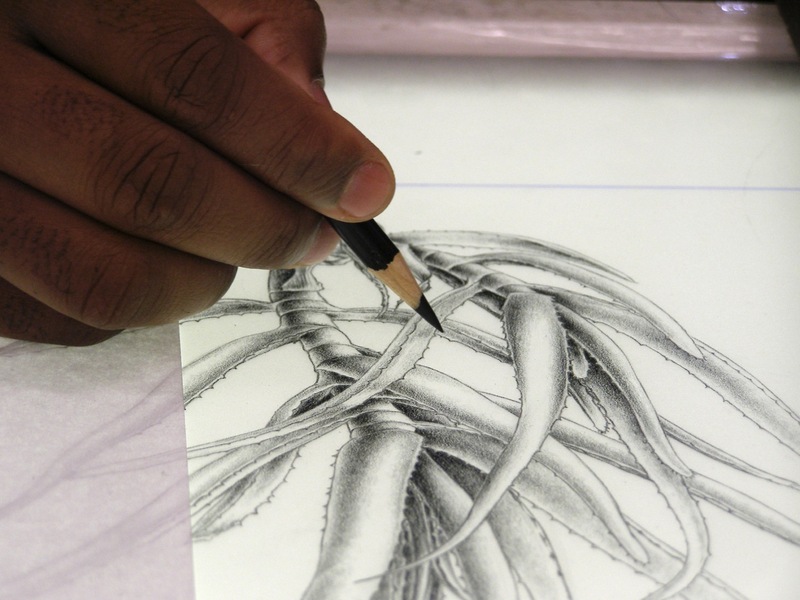 For Chiliza the complicated part of botanical art is getting started, in planning the composition. He usually starts at the bottom of the plant, meticulously working his way up the plant. "Gillian Condy taught me a lot, even though she prefers to work in watercolour, she also taught me ink work for book illustration”. 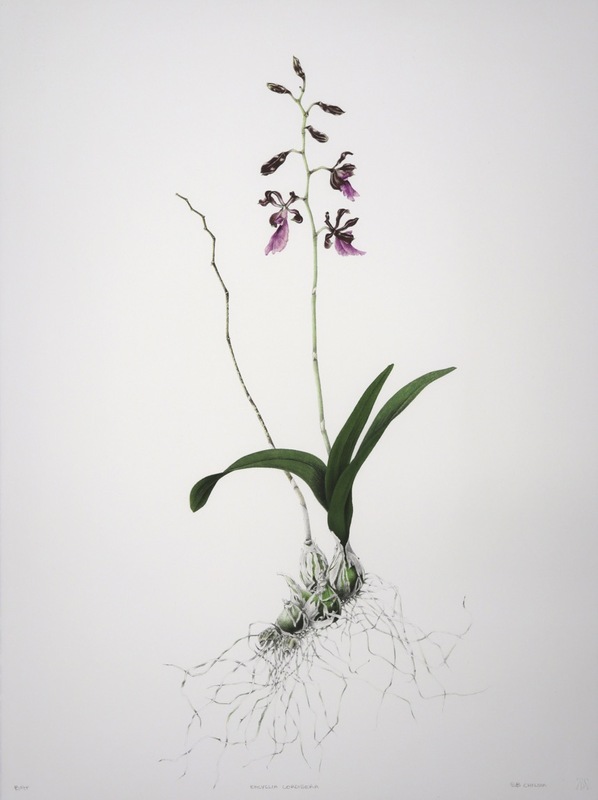 Chiliza has worked on images for three books including "Clivia, Nature and Nurture" by Dirk Swanevelder and Roger Fisher. 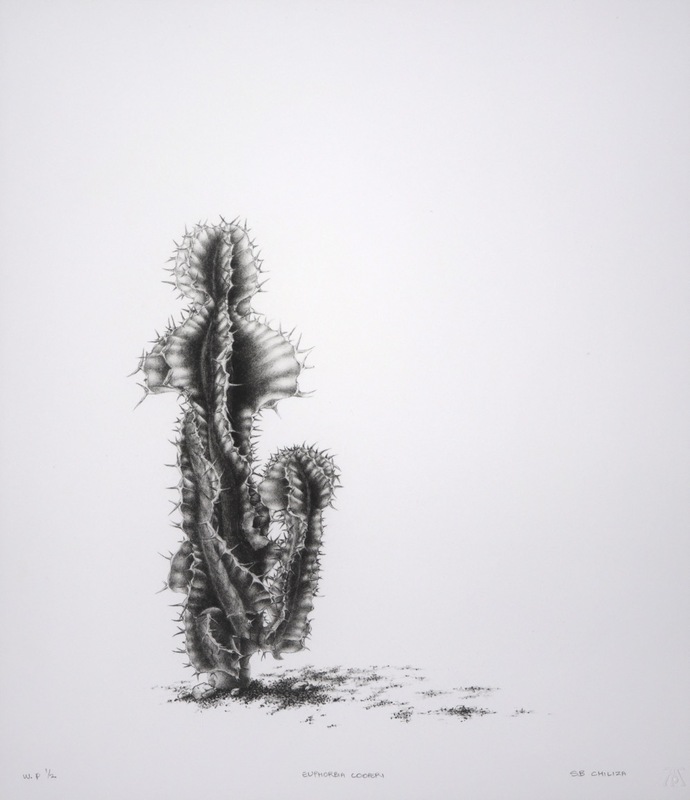 He has taken part in several group exhibitions and has won awards on the three SANBI Kirstenbosch Biennales that he has participated in. When Sibonelo Chiliza works time seems to stand still and his calm permeates the studio. He draws from live plans and to scale (using a maths divider) to get accurate measurements. He has no particular species preference but is fussy about what he selects to draw. The form and colours have to be just right. 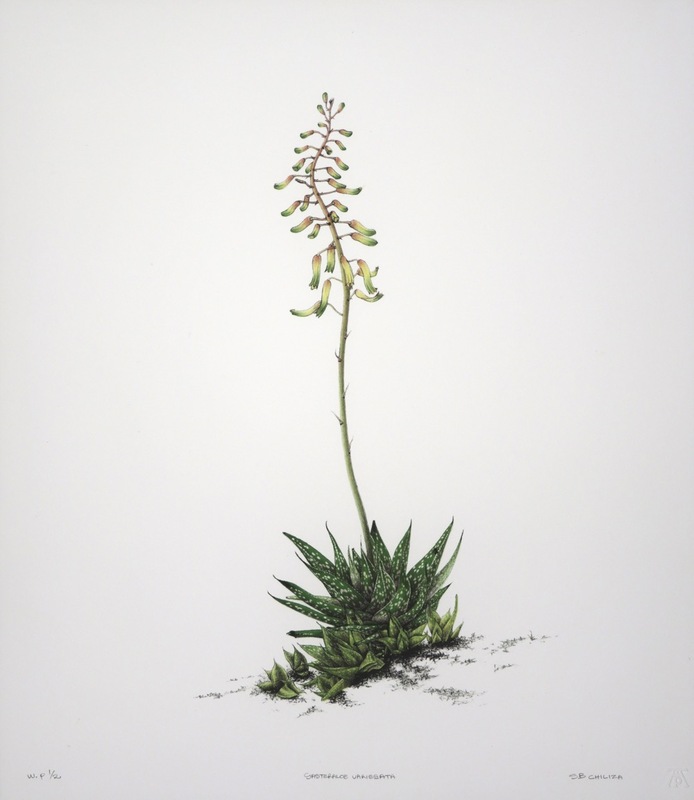 Chiliza's work is extraordinary in the perfection of its execution and apparent simplicity; with environmental awareness spreading, we are very pleased to have a botanical artist of his calibre making prints in the studio. Please note that the sizes of prints differ but the photographs show them as the same size on this page. Refer to size details to get an idea of the specific print sizes. Phalaenopsis Anna-Larati Soekardi is quite small and Encyclia cordigera is big!